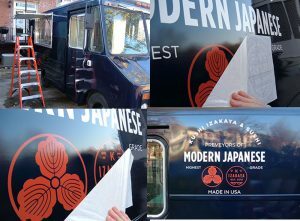 You can make the most of your marketing efforts with graphics work and custom wraps from All Venue Graphics and Signs. 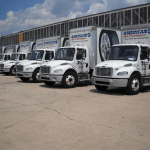 Many companies make use of cars to make deliveries to various clients. They are also offered as perks for employees in corporate positions. 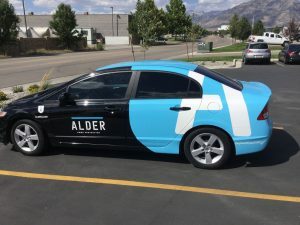 With brand car wraps, you will be able to effectively advertise to potential new customers and spread the word with your contact info and company logo all throughout the city. 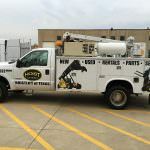 When you go to work and back home again, you’ll have the chance to promote the company and expand how far your brand’s message is sweeping throughout the area. 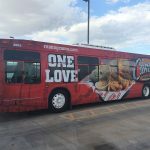 A single vehicle with graphics will be noticed by hundreds of new people on a day to day basis. Call All Venue Graphics and Signs today at (954) 504-9965 for a Free Consultation with a Car Wrap Specialist! It doesn’t matter if the vehicle is making its way through an urban city environment or a small town. Most standard cars blend right in with the crowd, being seen as little more than just another vehicle. 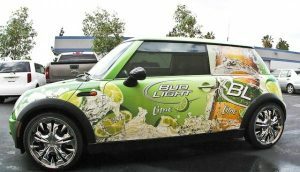 Imagine however that you have your vehicle decked out in custom car wraps from All Venue Graphics and Signs. Even if you stick to the same old route as always, you’ll instantly start drawing more attention and start putting your company on everyone’s minds. It doesn’t take long to start receiving an influx of new customers. 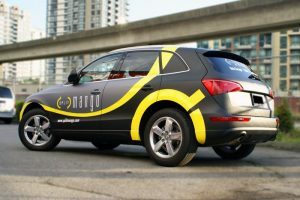 Car wraps can offer a company the invaluable benefit of greater visibility. They allow outreach towards even more markets that would have been untouchable beforehand without considerable expenditures. 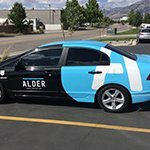 You never know how many potential customers might be driving along the same route as a vehicle decked out in your company’s car wraps. There are likely even more than you might assume. It works on the same level as the guys that stand on the side of the road spinning signs; anything that sticks out from the norm is going to turn heads. It’s a wise business decision to take advantage of people’s curious nature and ensure your advertisements gather as much attention as possible. Of course, every company stands alone with their own particular marketing strategies. You needn’t worry; any car wrap can easily reflect a brand’s identity. All sorts of different elements can be included to make sure your company will stand out in an impactful and professional manner. 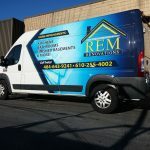 All Venue Graphics and Signs‘s graphics, car wraps, and design magnets can also be catered to any vehicle. There are designers on hand to help make sure the product is the perfect fit for your needs. Do you use a different car when you’re working? 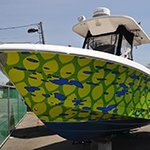 (Company) can create wraps for pretty much anything. This even includes the likes of RVs and ATVs! 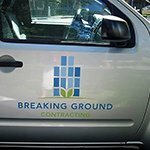 As your business grows, you’ll even be able to update your car wraps to reflect your current marketing message. 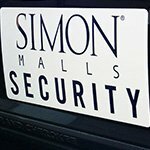 All Venue Graphics and Signs makes use of durable vinyl film to create car wraps. Designed to be aesthetically pleasing, they also protect the factory paint job of the vehicle underneath. There’s no worry of wear and tear from the road or the weather. Cars reflect long-term investments, so it’s essential to get the most out of them. 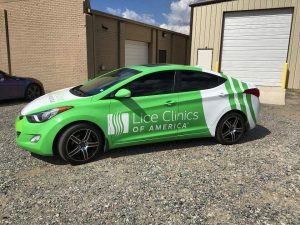 Not only will these car wraps help you increase your marketing efforts, but they will also help increase the longevity and lifespan of your vehicle. It can even protect the value in the long run! 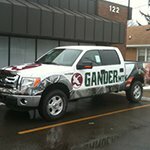 Our team is incredibly passionate about car wraps and everything they can do for your company. The staff is completely dedicated to helping you and working with you throughout every single step of the process. This starts from the very first consultation all the way up to the maintenance, installation, and even removal if requested. All of your ideas will be taken into account and given full respect. 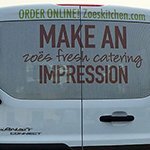 We want you to be included in every single aspect of your car wrap marketing efforts. 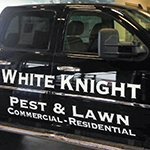 All Venue Graphics and Signs is here to protect your investment, increase your business visibility and attract new clients with custom, durable and high-quality vehicle wraps. 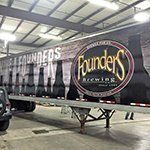 Whenever you want appealing, cohesive and long-lasting vehicle wraps or any other signage, we are your local sign company, dedicated to assisting our clients to reach their marketing goals.